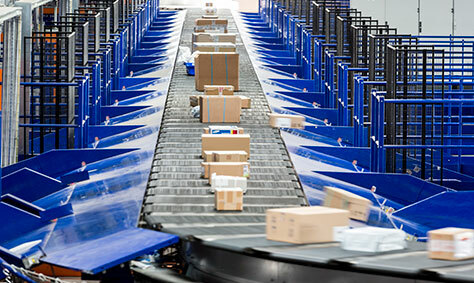 Fives’ equipment has been designed to be compliant with the most recognized codes and standards within the world of items’ handling and sortation. In order to fully satisfy its customers and adapt to their specific needs, Fives is committed to meeting their requirements by conforming to the necessary regulations, both on the national and international levels. Thanks to its high-standard Quality Management System, Fives is also able to obtain new certifications that may be required by the customer. Within the Intralogistics business line, Fives is actively improving its environmental impact by obtaining the ISO 14001: 2004 certification. Sustainable development is a global priority today. The Intralogistics teams are constantly integrating social, environmental, and economic concerns into every step of their production process. All Intralogistics companies’ quality processes also ensure that their employees' working environment offers the best health and safety conditions by using a safety management system with many of the components of OHSAS 18001: 2007. Fives Intralogistics SpA has been ISO 27001 certified.